Cutter designed by Edward Burgess in 1887, and the inspiration for the 40′ class. The plans produce a model that is 22″ long. 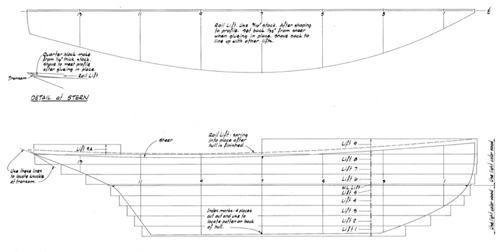 You’ll receive 3 pages of plans, historical information about the boat, step-by-step instructions and full-sized patterns for each lift, as well as template for you to shape the profile.